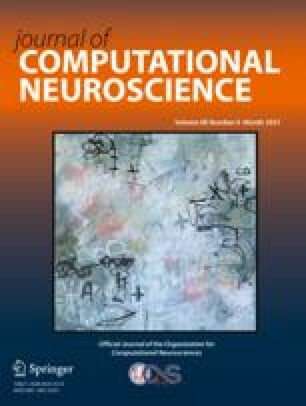 The cochlear nucleus (CN) presents a unique opportunity for quantitatively studying input-output transformations by neurons because it gives rise to a variety of different response types from a relatively homogeneous input source, the auditory nerve (AN). Particularly interesting among CN neurons are Onset (On) neurons, which have a prominent response to the onset of sustained sounds followed by little or no response in the steady-state. On neurons contrast sharply with their AN inputs, which respond vigorously throughout stimuli. On neurons can entrain to stimuli (firing once per cycle of a periodic stimulus) at up to 1000 Hz, unlike their AN inputs. To understand the mechanisms underlying these response patterns, we tested whether an integrate-to-threshold point-neuron model with a fixed refractory period can account for On discharge patterns for tones, systematically examining the effect of membrane time constant and the number and strength of the exclusively excitatory AN synaptic inputs. To produce both onset responses to high-frequency tone bursts and entrainment to a broad range of low-frequency tones, the model must have a short time constant (≈0.125 ms) and a large number (>100) of weak synaptic inputs, properties that are consistent with the electrical properties and anatomy of On-responding cells. With these parameters, the model acts like a coincidence detector with a threshold-like relationship between the instantaneous discharge rates of the output and the inputs. Onset responses to high-frequency tone bursts result because the threshold effect enhances the initial response of the AN inputs and suppresses their relatively lower sustained response. However, when the model entrains across a broad range of frequencies, it also produces short interspike intervals at the onset of high-frequency tone bursts, a response pattern not found in all types of On neurons. These results show a tradeoff, that may be a general property of many neurons, between following rapid stimulus fluctuations and responding without short interspike intervals at the onset of sustained stimuli.